Tata Motors reported the biggest quarterly loss among Indian corporates after it was hit by asset impairment in its UK subsidiary, Jaguar Land Rover (JLR) Automotive in the December quarter. The non-cash loss of Rs 26,961 crore, the largest in the company’s history in absolute terms, was on account of uncertainties around Brexit, slowing sales in China, and technological disruptions facing JLR. The company had posted a net profit of Rs 1,215 crore in the year-ago quarter. Revenues of the consolidated entity increased 5 per cent over the year-ago quarter. The company’s American Depositary Receipts listed on the New York Stock Exchange were trading 9.8 per cent lower due to the muted results and outlook. While JLR’s fortunes nosedived, the standalone entity posted a net profit of Rs 618 crore on the back of improving performance. Despite muted volumes, which were down 0.5 per cent over the year-ago quarter, domestic business reported an improvement in the operating profit margins by 60 basis points (bps) to 9.1 per cent and turned in a profit of Rs 618 crore. P B Balaji, chief financial officer at Tata Motors, said the impairment at JLR would help the company reduce depreciation and amortisation costs by almost 300 million pounds in a year and reduce the break-even point. “It’s a right step we have taken in terms of reducing our costs, improving our break-even, and improving our competitiveness,” said Balaji. The impairment charges have been arrived at after taking into consideration the current assets on JLR’s books, future investment, and “stress testing” it for low growth environment, coming particularly out of China, rising interest rates, and technological disruptions, he added. 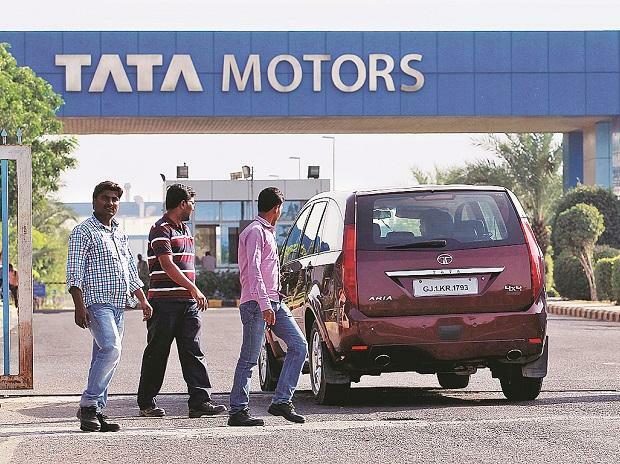 This is not the first time Tata Motors has taken impairment on its assets. In 2000-01, the company took an impairment of Rs 8,894.8 crore. Tata Motors’ revenue then was Rs 80,778 crore. Analysts were disappointed with the earnings and expressed concerns that the impairment might lead to some rating action. “Yet another disappointing results from JLR. Apart from the results, we are concerned by the significant erosion in equity led by the impairment and fear it would lead to rating actions by the agencies,” said Nitesh Sharma, analyst at Phillip Capital. Mahantesh Sabarad, head of retail research at SBI CAP, termed the impairment as “financial re-engineering”. He expects cash flows to remain under pressure as the UK subsidiary continues to face headwinds. “Impairments can only help you clean your balance sheet, but they don’t address the problem of cash flow. The company is not generating free cash flow as of now. Cash flow generation is contingent upon improvement in business, which is unlikely to improve in the near future,” said Sabarad. During the quarter, JLR’s retail sales were down 6.4 per cent to 144,602 units. This, in turn, singed earnings at the firm. While revenues at the UK subsidiary were down 1 per cent to 6,233 million pounds over the year-ago quarter, margins contracted by 360 bps to 7.3 per cent. It incurred a loss of 3,129 million pounds. The company had posted a profit of 88 million pounds in the year-ago quarter. A big chunk in drop in margins - close to 250 bps - was led by China, one of JLR’s most profitable markets, said Balaji. While JLR’s growth in most of its key markets, including the UK, Europe and the US, has been satisfactory, China “has been a problem,” he said. Drop in sales for JLR in China has been steeper than peers. While luxury car market volume in China was down by 15 per cent year-on-year (YoY), JLR’s sales drop was a sharp 47 per cent YoY. This is why the company had to revisit its China strategy, which included inventory correction and reworking of dealer profitability. The slowdown in the region has accounted for a 250 bps drop in JLR’s (earnings before interest and taxes) margins; the remaining 250 bps is on account of production shutdowns. Commenting on Brexit, he said even as the company was hopeful of a negotiated settlement, it was “preparing for the worst,” and it would undertake a shutdown of two-and-a-half to three weeks at its facilities in the UK. While the December quarter performance of JLR was muted and the company will continue to be in the red for 2018-19, it expects to turn profitable and free cash flow positive in the fourth quarter, on back of all the cost saving and restructuring measures under way at JLR.